There is Divinity in all of us and everything around us, since we are all sparks of the Divine. As with all living things, there is a feminine and masculine element to this Divinity. For too long we have been unbalanced in our representation of the two faces of the Divine. The High Priestess/Hierophantissa (Greek: Hiera:-sacred and Phanes:-illuminator/revealer) is the feminine archetype of one who acts as a conduit to the Divine Mystery. She is the earthly portal to all that is unknown and unseen in the physical and she is the veil through which one perceives all that is unconscious and hidden. The High Priestess represents and contains within her symbolic chalice (divine feminine womb) the primal feminine principal of the Divine. The ancient Jewish mystics called this Feminine aspect of “God” the Shekinah. The Shekinah although not mentioned by name in the patriarchal Old Testament, is mentioned frequently in ancient rabbinic literature. In its many translations, the Shekinah is often described as the mysterious, beautiful and feminine “Presence” of “God” or as some may describe – ‘The Holy Spirit’. Over time her presence was hidden and dismissed, but still can be found in Jewish tradition as the “Shabbat Kallah” the Sabbath Bride called in to be greeted in union with her counterpart/husband, the masculine God head. Within Ancient pre-Alexandrian Kabbalah, the Shekinah was represented as the triune of Feminine Wisdom (Chokmah) Understanding (Binah) and Knowledge (Da’ath). The Shekinah was the equivalent of the Greek Sophia. Over centuries the patriarchal Kabbalists changed the two sephirot – Chokmah and Da’ath – to masculine aspects and the Hebrew Sophia was no longer attributed to the Feminine. The Hierophantissa is most commonly represented in the Major Arcana cards of the Tarot . Her masculine counterpart is the Magician. She is the embodiment of unconscious intuitive and esoteric wisdom and the Magician is the embodiment of conscious power and worldly knowledge. The High Priestess is keeper of all that is known and still waiting to be illuminated. She holds the harmonic equilibrium between light and dark, the beginning and the end. This is symbolically illustrated as the two pillars of Boaz and Yochim in the Temple of Solomon and can be revealed as the Hebrew letters Beth and Yod. Beth being the first letter of the first word of the Torah and Yod being the first letter of the last word of the Torah. There are too many misunderstandings and untold hidden truths within the Tarot teaching system, not least within the origins of the name of the ‘Tarot’ itself. The polarities of life and all that lies between, is contained within the Shekinah’s ‘pearls of wisdom’ and the High Priestess sits as Her guardian before these pillars of opposites at the entrance to the Temple of Mystery. Mysterious, misunderstood and misrepresented, Mary(Greek) has been portrayed as a tempting prostitute, a repentant sinner, trusted confidante, apostle, saint and goddess. Her story is so intriguing and shrouded with veils of mystery and sacred symbolism, that it’s no surprise that the woman and her story have been researched, depicted and debated for so long. 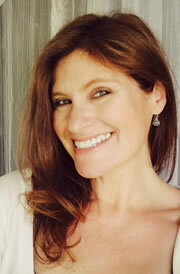 Through analyzing the ambiguity of the Holy Grail, The Rose, The Holy Bloodline and other references, it is widely thought and believed that this independent jewess from the small fishing village of Magdala, was indeed the ‘Beloved’ of Yeshua-Jesus, and that, in her witnessing his ‘resurrection’ she became the apostle to the apostles, and would be the ‘one’ to take the then controversial and fragile teachings of Jesus outwards into the world to build the foundations of ancient Christianity. Popular thought is that she carried in her womb, Jesus’ child, the ‘Holy Blood Line’ as she fled to France – whom then became the ancestress to the French Merovingian Kings. Gnostics belief is that just as Yeshua/Jesus was the human embodiment of the Male Divine Messiah, in the same way Mary was the embodiment of the Sacred Feminine – The Goddess Messiah, consort and Bride of the Christ, the equal female counterpart to the Male God-Head. Mary was sainted in 1969 after the church denounced the idea of her as a sinner and prostitute, but whatever one believes or understands Mariamne of Magdala to be, this woman was a sacred sister of wisdom, a prophetess, a high priestess who taught Jesus the secret wisdom of the ancients, a brave leader, loyal disciple and the perfect receptacle to spread the Divine ‘Word’. Her wisdom, goodness, healing and forgiveness and her fearless story of loyalty, love and vision in a world where women had no worth – represents to us in this modern day, a role model of empowerment, strength, devotion and the Divine Feminine. 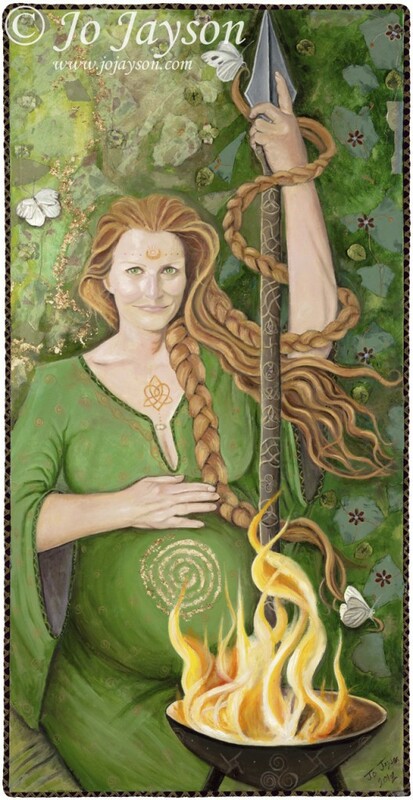 Brighid – Mother Goddess of Ireland, (Brid,Bride,Brigid) an Irish Triple Goddess but her influence could be found in Scotland as Bride, England as Brigantia and all around western Europe. The Romans named her Minerva, Athena in Greek. Her realms were many, she was known and loved as the Goddess of Fertility and Midwifery., bringing in the ‘birthing” of spring, new life of fauna and flora and cattle. She is a sun and fire goddess similar to the Greek Vesta, bringing warmth and safety to the home and hearth, and purification and healing through the fire element similar to Pele. As well as a Sun Goddess, she also rules the Moon, the magical realms of inspiration and poetry and all kinds of crafts including smith work and weaving. Her connection so closely to the cycles and energy of nature, made her the perfect Goddess of healing and plant medicine. The Triple essence of this Goddess denotes the Maid, the Mother and the Wise One. When christianity moved its way into the pagan Ireland and celtic regions, loyalty for Brighid was so strong and present in daily life and culture, that the church chose a saint that would hold her name, essence and realm,in order to satisfy the people. The stories of the saint and the goddess were so inextricably interwoven that it is hard to disconnect them. Where once it was believed that 19 Priestesses tended to Brighid’s Eternal Flame, now in present time, 19 nuns of St Brigit tend again to the Eternal Flame at Brighid’s Healing Well in Kildare, Ireland. Brighid is believed to be the female counterpart of Lugh The Ildana, and also Archangel Michael, with her warrior and protective energy. Imbolc (meaning ‘in the belly’) or St Brigit’s day, is celebrated (Feb 1st) as a welcoming of new life and homecoming of the sun after the long winter days. Brighid can be called upon to ignite the Eternal Spark of New Life, Inspiration, Healing and Protection. Isis (Greek) Ast, Aset meaning ‘Throne’ – is known as the Goddess of all Goddesses. Story is told of Aset (Isis) coming down from from the constellation Sirus, to rule and secure the present seed race in the Land of Khem ( chem) which is now, present day Egypt. The word ‘Alchemy’ is thought to come from here….tying Isis inextricably with the experience of Magic and Manifestation. Isis embodies the Empowered Divine Feminine. Her realm absorbed many of the principle goddess attributes in Egypt, but she began as an independent deity in pre-dyanastic times around the Nile Delta. There are many versions of the story of Isis and Osiris, her brother and husband. The most well known being that after the violent death of Osiris, Isis changed into a hawk and hovered over his body fanning her wings to bring breath back into him. Isis became known as the Mother of life and the Crone of death, the image of Horus her son nursing from her breast, was the original iconic image that later became the Madonna and Child. Pharaohs would use the metaphor of sitting in the lap of Isis in order to bequeath from her their majesty and divinity….to sit in the lap of Isis…was to inherit her Throne. Isis loyalty and worship spread to Greece, Rome and Pagan cultures throughout Europe and the Middle East….Jesus and The Magdalene were believed to be schooled in the mysteries of Isis. 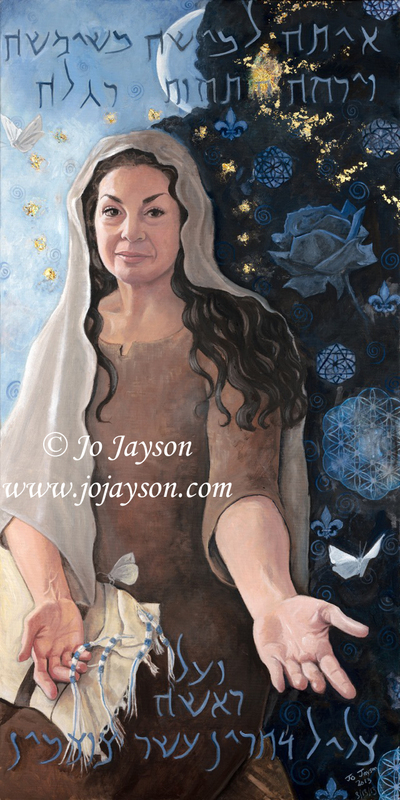 Goddess of life, death, rebirth, the moon, the sun, and healing and magic, the absolute Mother and Woman Divine…Isis has been named ‘One who is All” “Lady of 10,000 names, the ‘Isis Panathea’. At 13 Jeanne , a deeply pious peasant child, began to hear voices, prophesies that she was to save her beloved France from the stranglehold of the English. The voices of Archangel Michael, St Catherine and St Margaret became so loud and more frequent that in 1429, at the tender age of 17, she was moved to persuade the French army to allow her to lead the siege at Orleans….drive out the English, and allow the dauphin Charles to be crowned King of France. Jeanne became the french mascot, never fighting herself or ever using her sword, but holding her famous banner, she represented the courage of the Holy Warrior, the savior to the French nation and claimed the title of Maid of Orleans. Her fortunes fell, when the king lost interest in her after he had gained his crown and she was captured by the Burgundians and convicted of witchcraft and heresy . Condemned on the grounds of her perpetual insistence in wearing male clothing, Jeanne was burnt at the stake at the age of 19. Her last words as she was dying, were “Jesus”. After her violent death, she quickly became thought of as a prophetess and messenger of God and in 1920 was canonized by the Catholic Church. 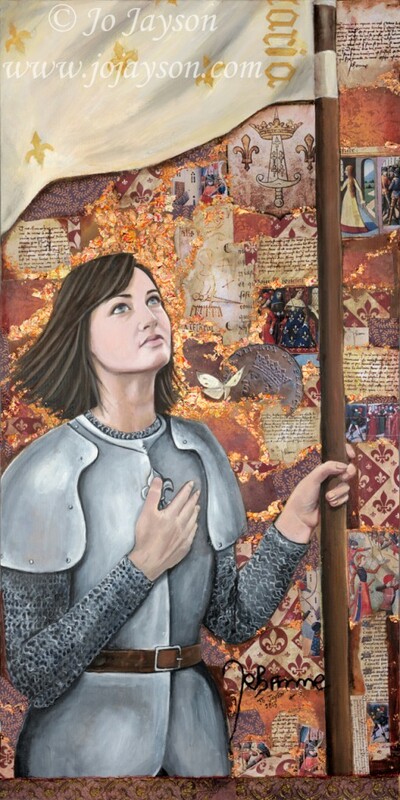 Jeanne’s youth and innocence yet overwhelming strength and courage are what has made her a legend and an example of martyrdom and the power of spiritual faith. Her lesson and her message is simply that in total surrender to that sacred place of faith and trust……it is there that one will find their courage and strength to achieve the impossible and the seemingly insurmountable. Jeanne d’Arc is the quintessential heroine and an embodiment of feminine intuitive wisdom , courage and devotion. Miriam (ancient Hebrew name Maryam/Miryam) has a few meanings – bitterness, rebellion and strong waters. All of these meanings bear witness to Miriam’s character and story. Sister of Moses and Aaron, and the sole person responsible for the saving of Moses from certain death and consequently the death of the people of Israel. Miriam at an early age, prophesied that her own mother would give birth to a son who would lead and redeem Israel out of slavery in the land of Egypt. This prophecy was what gave her and her family, courage and faith to hide Moses in the bushes of the Nile, knowing in this full faith, that he would be found, rescued and treasured by the Pharaoh’s daughter. Miriam’s unflinching conviction that this was a fated and destined scenario, allowed her to have and to give eternal hope in the future of her seemingly doomed people. Together with her two brothers, she led the Jewish people out of the land of Egypt and the shackles of slavery, into the Promised Land……Israel. Moses was the first teacher of the Torah, Aaron was the first high priest of the Jewish people and Miriam became known as the leader and teacher of the women and a source of strength and hope for them. It was through her leadership, intuitive insight and her eternal hope, that the women of Israel were able to move through their despair, darkness and fear of genocide, into a place of hope, trust and joy. The presence of Miriam’s famous ‘well of water’, in the long trek through the arid desert became symbolic of eternal life and hope. 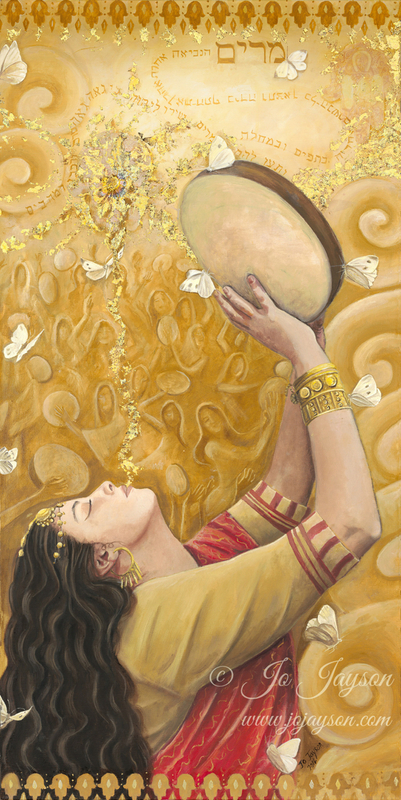 Miriam is also best known for her tambourine (or ancient drum) and her beloved ‘song of the sea”. When Pharaoh’s army were defeated in the waters of the Red Sea….Miriam encouraged and instructed the women of Israel to take out their tambourines and chant in joy and praise “Sing to the Lord, for He has triumphed gloriously; horse and driver He has hurled into the sea” . Miriam the Prophetess has become for the modern jewish woman, a leader and example of strength, hope, joy and faith, which has led to her become the symbolic leader of sisterhood and women’s communities and circles around the globe. 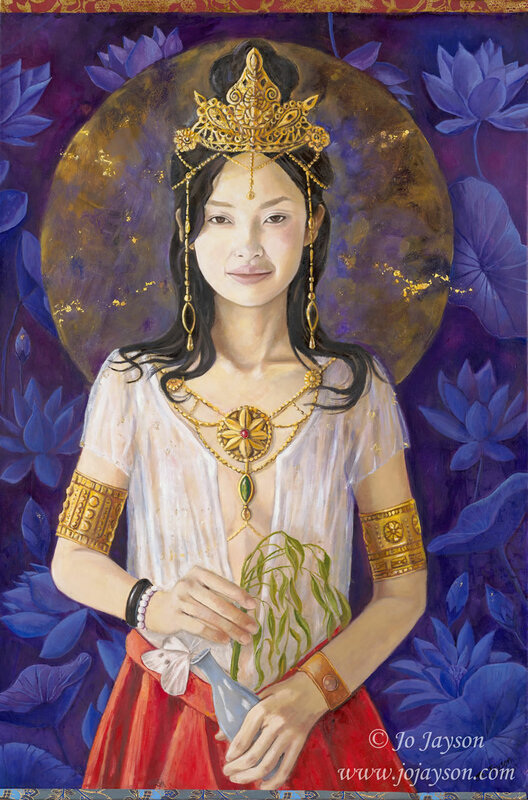 Guan Yin – Kuan Yin/Quan Yin is short for Guanshiyin meaning “observing the sounds of the world” in reference to the story of Guan Yin hearing the cries of suffering of all sentient beings of the world. In Chinese Buddhism, Guan yin also means the Bodhisattva Avalokitesavara – the enlightened personification of compassion and mercy. Originally in ancient times Guan yin was depicted as a male bodhisattva but over time it has been believed that these “enlightened” ones could show themselves as both genders and also in any other form required to relieve the suffering in those they wished to comfort. Many believe Guan Yin is of no gender but of late is often depicted as a female goddess figure. There are many stories and legends that are told about her origins, the most well known is of her as the young and pure Miao Shan, daughter of a cruel and punishing father. The most profound part of that legend was that after suffering terrible torment and ordeal on earth by her father, she began her journey to heaven, and about to move into the spirit realms, she heard the cries of the suffering from the world below. Full of compassion, mercy and forgiveness, she chose to return to earth, vowing never to leave until all suffering had ended. She is patroness of fisherman and seamen and her energy is associated with the pink lotus, symbolizing purity, peace and harmony. Often depicted with a dragon, (wisdom and power) or a dove (fecundity), with many heads and arms to help her in aiding so many. Most commonly, she holds a small jar filled with the nectar of life, compassion and wisdom to be sprinkled onto her devotees with the branch of willow leaves in her right hand. The willow branch being a symbol of flexibility whilst weeping. Guan Yin has become the most beloved archetype of the Mother Goddess Divine and regardless of which legends are to be believed, this beautiful energy resides in and around us for all eternity. Morgan le fay, Morgana, Morgaine, Morganis and Modron. A figure of so much mystery, confusion and misrepresentation, Morgan has become such a deep and complex character that unraveling the truth of who she was and where she originated , has become a complicated pursuit. A key figure in the Arthurian legends ,her origins come from the pagan and druid celtic culture at the time of the 5th Century. There was pagan belief that there was a sisterhood of 9 , called the Morgens, or the welsh/Breton names Mari-Morgans, meaning “water spirits”. These water spirits inhabited the mystical misty marshlands outside of Glastonbury, in which the pagan belief was that moving through these mysterious misty lakes, would take you to the magical and healing Isle of Apples – or in translation, what we know as Avalon – the Otherworld. This Morgan, was a healer, a shape shifter , a faery spirit that brought healing and prophesy to those that called upon her. Almost 700 years later, as the church and Christianity took a hold of pagan Briton, new literature was written about these mysterious and compelling stories of King Arthur and the various characters associated with him. Authors such as Monmouth, De Troyes, Malory and others each had their own version of this legend, each twisting and changing the stories to such a degree that they sometimes left little resemblance to the original source. Morgan has been depicted and expressed as a high priestess of Avalon, learning her skill of magic from Merlin, or in another version whilst she was a child in a convent. As Christianity influenced people’s beliefs, Morgan’s magical and healing abilities were later expressed as dark sorcery, witchcraft, and evil. In some literature she is written as the nemesis of Arthur and Guinevere , jealous victim of unrequited love of Lancelot, mother of Mordred whom she bore with her half brother Arthur, and who later brought down the kingdom of Camelot. A myriad of versions of these stories are available, each contradicting the other. She also is wrongly confused with Morrigan, the Irish Celtic Goddess of war and death. It is believed the church were the ones to merge this Irish dark energy together with Morgan’s Welsh archetype, hence reinforcing the belief that magic, healing, and mystery was evil and work of the devil. Celtic scholars are now clear that these two female archetypes are not connected, even though they have the symbolism of the Raven in common.. However Morgan’s association with the Raven, can be seen in its more truthful source as the ability to shape shift, to hold mystical wisdom and to connect to the otherworld beyond the veil. The many versions of Morgan bring to our attention the play of light and dark, of good and evil, of healing and destruction, and in this paradox that she has become, we must remember her origins, a gentle but illusive water spirit of the mystery and an elemental of natural world, a Goddess, a Priestess of the highest honor, in a pagan/druid land that revered the balance of the God/Goddess of Nature. Artemis (Greek) derived from Artemes meaning healthy and vigorous, was an ancient Greek Olympian Goddess, whose Roman equivalent was Diana. Her origins seem to come from pre-Olympian even pre-historic connections and are also linked with the Ephesian Artemis, who was a nature, fertility deity. The Artemis we know today however is firmly placed as the daughter of Zeus and his mistress Leto. As the story is told, Leto gave birth to twins, Artemis and Apollo. Artemis was born first and whilst Leto was in terrible pain delivering Apollo, she came to her mother’s aid and helped midwife her brother’s birth. Artemis as a young headstrong child had a very clear focus and confident knowing of what she wanted and did not want in her life. She asked for permission to remain an unmarried virgin, to become a huntress and have her own bow and arrow. She wished to have maiden nymphs and hound dogs who would all act as her constant companions and protectors. 5 Stag pulled her chariot, and she lived amongst the plains, marshlands, forests and mountains of the land. The Cypress tree was sacred to her as was the Amaranth flower. One of the many versions of the myths and stories about Artemis is that of her one true love, the giant hunter Orion. Whilst showing off her hunting skills to her brother Apollo, she accidentally shot and killed Orion with her arrow. In her deep sorrow and grief she placed him amongst the stars…now known to us as the Orion Constellation. 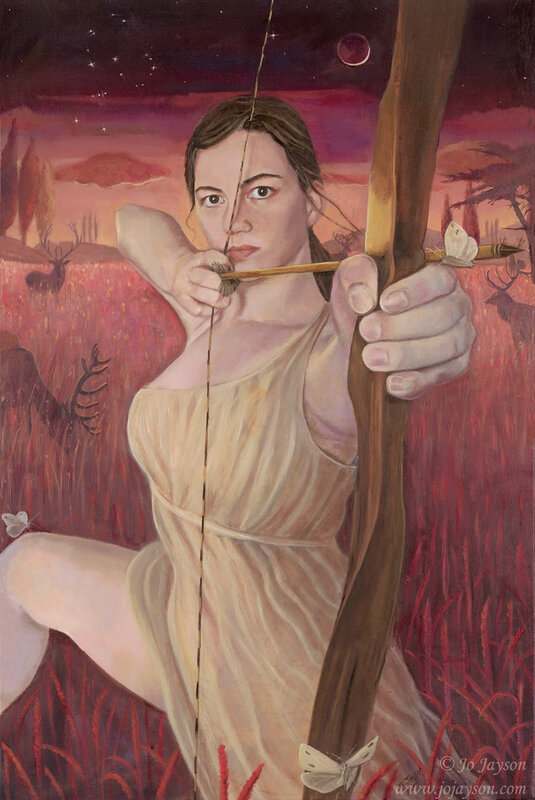 There are many stories of Artemis’ bravery, her clear decisiveness and her deep connection and love of nature and wild animals. Apollo and Artemis were known as both protective and destructive Gods. In one moment they could inflict disease and suffering and in another, offer great healing and protection. As Apollo’s realm was that of young boys , Artemis was protector of young girls, those unmarried and those in need of help during childbirth. Kali – Kali Ma (or Kalika, or Maa Kali) from the Sanskrit ‘ Kala’ meaning ‘Darkness and beyond Time.’ Kali is normally depicted as the most ferocious and fearsome of all Hindu deities and yet she is revered and adored more than all the others. As her name suggests, she is the energy of pure creation, destruction and the darkness of nothingness from which she comes. It is within this dark nothingness that pure consciousness exists and the destructive and nurturing aspects of creation and life are born from. Conflicting myths describe her origin, but the most popular is that she was born from the brow of the great mother goddess Durga….as the forceful offspring that would bring about the destruction of all that was false and the slaying of all that was ego driven. She is often depicted in bloodthirsty scenarios and disturbing representation which has over time made many fearful of her power. However, steeped in symbolism, these frightening depictions speak of a much kinder, more protective and most powerful of energy. Kali’s Mudra (hand position) is of blessed protection and her Yantra (sacred symbol) contains all that she is. Many times Kali is represented with a string of 51-53 skulls around her neck. These represent the ‘Garland of Letters”…each letter of the Devangari or Sanskrit alphabet holding a divine wisdom and divine energy. Kali represents all of the energies and wisdom of each Sanskrit sacred letter and hence is often thought of as the Mother of Mantras. Always depicted as blue or black skinned, symbolizing the non-physicality of Kali, her un-manifested form, the force behind creation. She has no permanent quality, she is ever changing and her expansiveness is within the darkness of the chaos and perfection of the universe. Kali is pure Shakti (the feminine) and in Tantric traditions she is honored and perceived as the main consort to Shiva (the masculine). Their union together brings about the Oneness, the completeness and the merging of all aspects of the Divine and its universes. Inanna – the name given to the exalted and prominent ancient Sumerian Goddess of Love, War, Sexuality and Fertility. Ishtar was her Akkadian name given by the first ancient Semitic civilization of Mesopotamia some 4,000 years ago (modern day Iraq/Persian gulf) The name can be translated as “Lady or Goddess of the Sky”. Her famous temple in the city of Uruk was called the “House of Heaven”. One of the many aspects she was perceived, is that of the star Venus – to be seen rising in the east in the morning and descending into the darkness in the west at night. The great Babylonian, Phoenician and Greek Goddesses, Ishtar, Astarte and Aphrodite are all latter names and incarnations of Inanna. 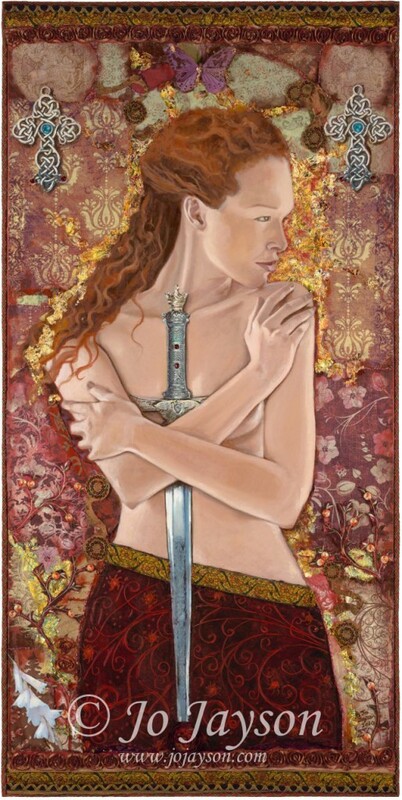 Associated with protection in battle , war, fertility and prosperity, She was also the embodiment of the potency of feminine beauty, love and sacred sexuality. In her temples the Hieros Gamos, a sacred sexual ritual was performed regularly believing that the dark energy of war, destruction and anger of warriors coming back from battle, could be drawn out of and healed in the man by the female priestesses of Inanna. This sacred marriage of sexuality was also thought to give legitimacy to Kings and fertility to their lands- a much sought after power to their throne which they couldn’t receive otherwise. Hence the power of this sacred ritual of Inanna was immense. We see this ritual played out in many subsequent pagan cultures of old. Amongst her many myths and stories the most well known and reconstructed, is that of her “Descent into the Underworld”. Within the many versions of this epic story, we see the basic underlying theme of descending into the depths of darkness/hell,. Her journey is a symbolic descent into the subconscious and shadow parts of ourselves. Inanna had to pass through the seven gates of hell, disrobing of her crown, her jewels and all aspects of her material power. The metaphor is clear, in the discarding of the ego, the shedding of the superficial skin, the death of all that is inauthentic. At the end of her journey through these seven stages of descension , she is dead. After 3 days comes her resurrection, her rebirth. Transformed and ascended as the bright star of the sky, the light and beauty of the heavens and crowned the ‘Queen of Heaven and Earth’. We can see clearly how other latter patriarchal religions borrowed from this concept and how many latter Sacred Feminine archetypes also were given the same title. 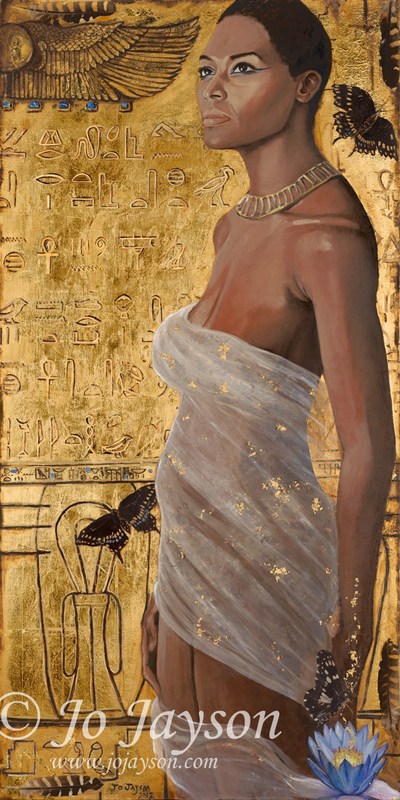 Her symbols are that of the looped reed stalk denoting protection, fertility and divinity and seen influenced in the ankh and Isis knot of ancient Egypt . 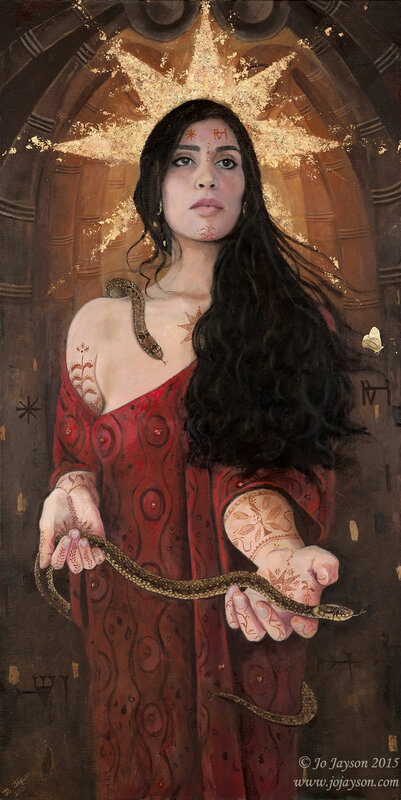 She is associated with the ancient and primordial bird and snake goddess- The wings of divinity and wisdom, and the power, regeneration and transformative healing of the serpent. Grandmother Spider – Spider Grandmother, Spider Woman, Tse-che-nako Sussistinako is known in the ancient folklore of Native Americans, as the creator of the world and the universe. For the many hundreds of Native Americans Tribes, such as Hopi, Pueblo, Navajo, and the Choctaw to name but a few, there are many myths and stories about the old spider woman who created the sky, brought fire to the people and created the 4 races of humans . She molded out of clay the red, yellow white and black races of people, connecting each one with a thread from her web at the top of their heads (crown chakra) , as a reminder that all are connected to the central source via the web of life. 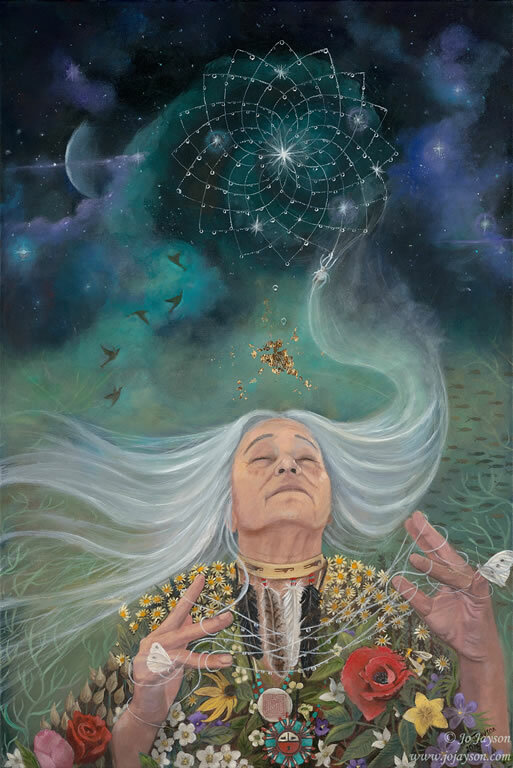 One of the most popular and well known stories is that of Grandmother Spider spinning her web of creation whilst singing her song, After she had embellished the strands of her web with dew drops, she threw this web into the sky, the dew drops becoming the stars and planets. The stories of Grandmother spider are symbolic of the Feminine aspect of the Creator. In the oral tradition of Native Americans, stories to explain the mystery and magic of the universe were passed down from one generation to another, The American Natives understood and connected deeply with nature and the earth, and Grandmother Spider’s web of creation helped them comprehend that everything and everyone is connected to this web of life. Within all of these tribes there is a common honoring of the deep sacredness of the Feminine and the feminine aspect of the earth and creation. To this day, whether we are Native American or not, we refer to the earth as Mother Earth, and to nature as Mother Nature.